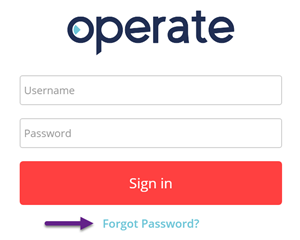 If you have forgotten your Operate Password, there is a simple way to recover it. Click 'Forgot Password?' underneath the login area. 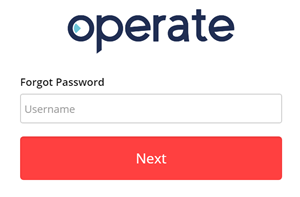 Enter your Username and click 'Next'. 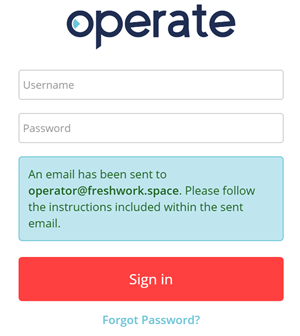 Operate will now send an email to your registered address. Go to your email inbox and find a message coming from donotreply@essensys.tech, with the subject "Forgot Password". In this message, you will find a 'Reset Password' button. Click it to go to the reset page. You will now be taken to a page here you can enter and confirm your new password. 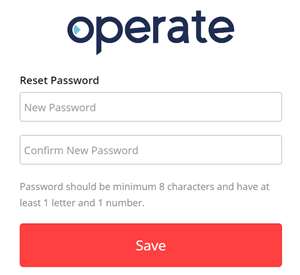 Your new password should contain at least 8 characters and should not be all letters or numbers - there should be at least one letter or one number. Go back to operate.essensys.tech / operate.us.essensys.tech and log in using your new password.